despite the countless new note-taking devices that technology throws at us, there’s something about the tangibility of putting pen to paper that makes us not want to let go of the writing tools we know and love the most. until now, no ipad, laptop, or smartphone has managed to electronically recreate the experience of writing. with that in mind, SONY have set out to create a digital alternative to replace the mess of a4 sheets currently littering our desks, that still creates the same satisfying sensation. 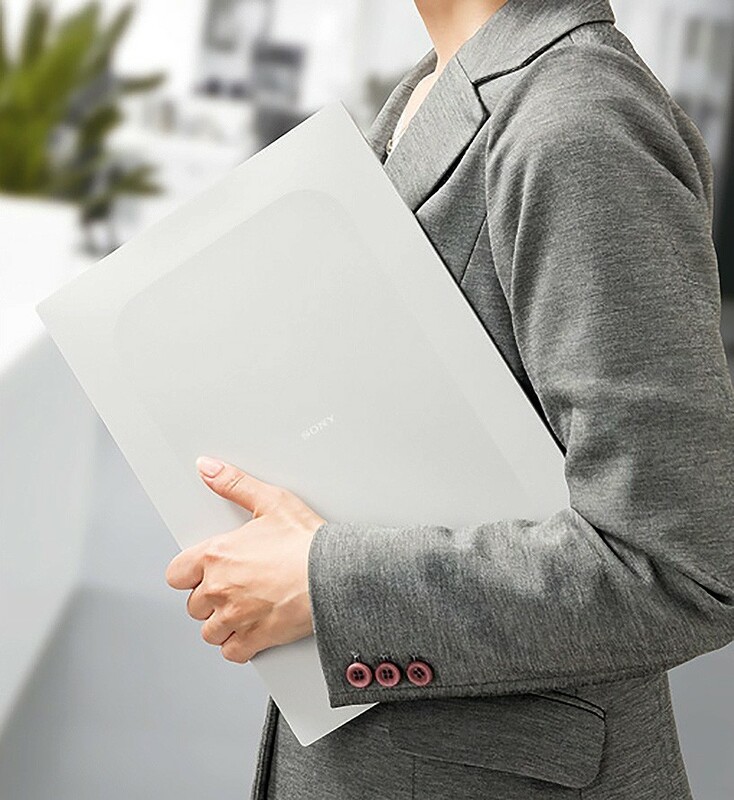 enter the large DPT-RP1 e-paper tablet, already the world’s thinnest and lightest digital device, measuring just over half a centimeter in thickness and equipped with a high-res electronic paper screen. 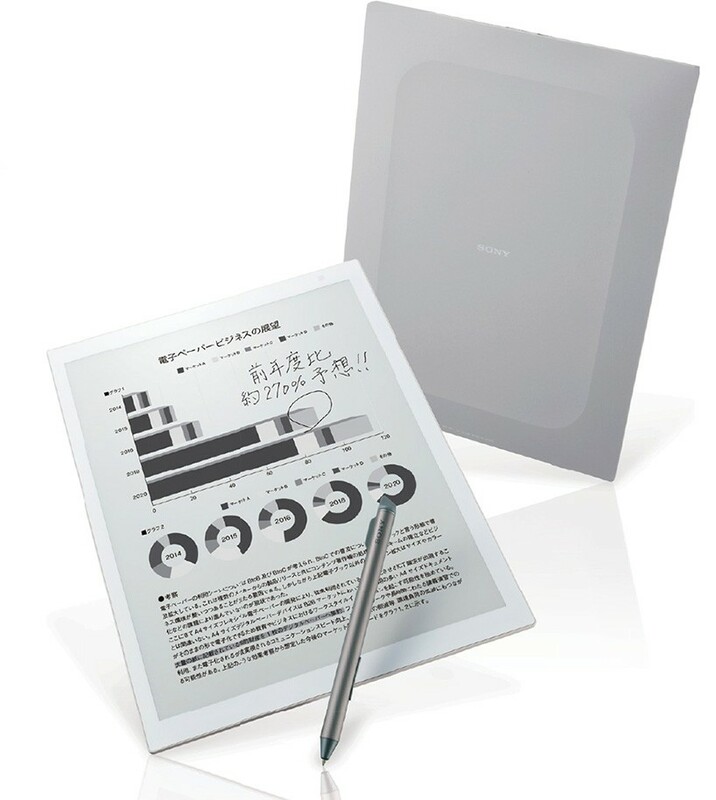 the e-paper tablet is the successor of SONY’s first digital paper device, the DTP S1. following customer feedback, the new device is designed to take the concept of an e-paper display and turn it into a device that actually looks and feels like a sheet of paper. 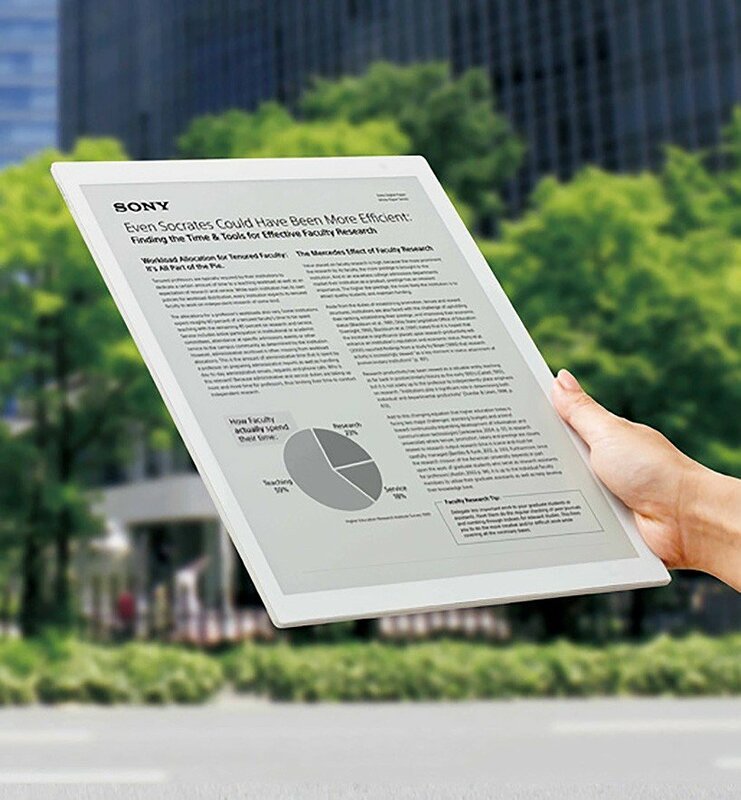 SONY shed pounds from the device to make it even more lightweight, and adds a newly-developed non-slip panel onto the e-ink screen to give the same sense of resistance as writing on real paper. the usability of the DPT-RP1 is designed around the writing experience, with the home buttom and micro USB terminal conveniently placed at the top of the device, to stay out of the way of the user’s hands. even the back of the device is finished to a texture that feels exactly like paper. 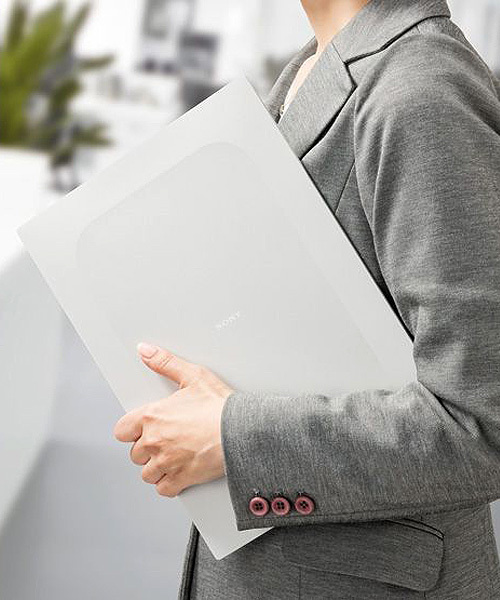 the A4 tablet can hold about 10,000 PDF files, making it equivalent to the biggest notebook you’ve ever owned. 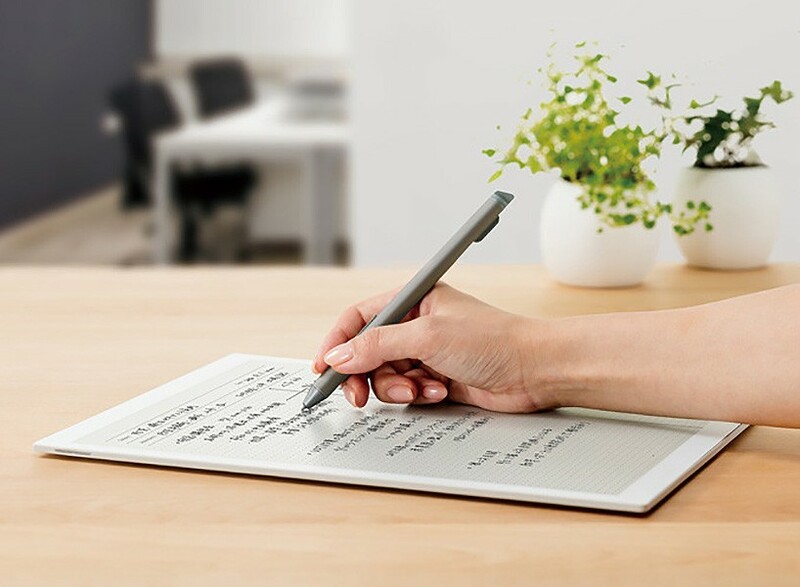 the combination of a newly adopted electrostatic capacitance type touch panel system and a rechargeable stylus pen even allows detailed writing to the edge of the screen, just like a real sheet of paper. the tablet hooks up via wifi or bluetooth to a new application, namely the ‘digital paper app,’ letting you easily transfer your handwritten documents to a laptop or PC. in the future. 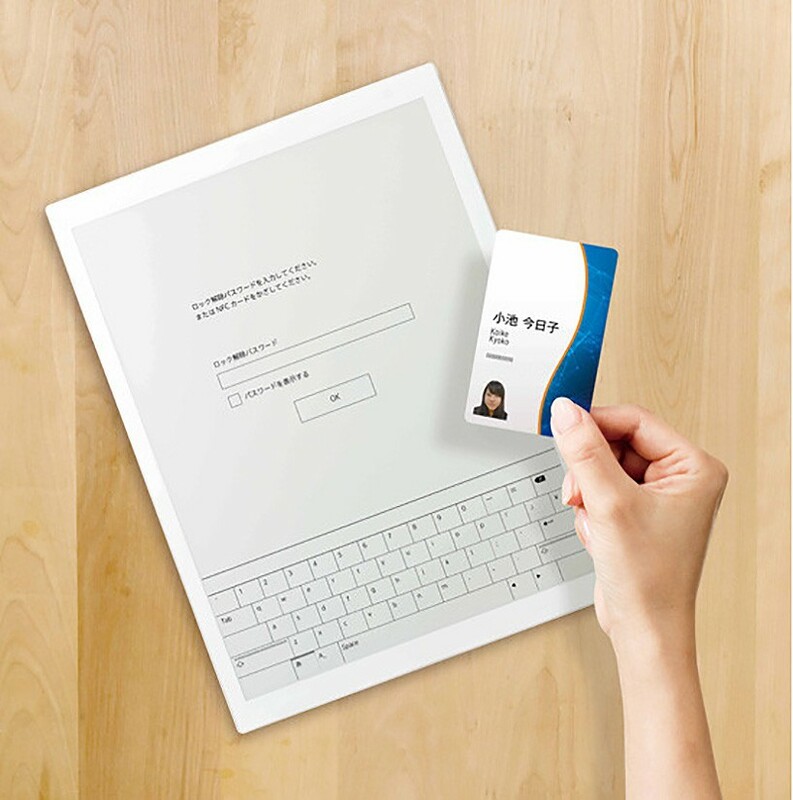 SONY wants to continue with its mission to make paper obsolete by creating a ‘digital paper collaborative server software’ that will allow companies to send forms straight to the e-paper tablet, saving any need to print and fill them in by hand.the DPT-RP1 is set to be released on june 5th 2017 in japan.